We’re in an area of undulating hills 300 k’s South of Perth. 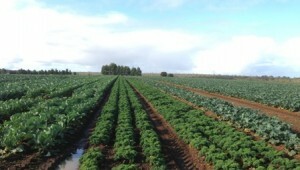 It’s traditionally a fruit and vegetable production growing area. The soil is sand, gravel or loam over clay. We get about 750 mm of rain per year and it comes in winter. The vegetable farm is located 7 km East of town. Dad and Mum (Doug and Kay) are still involved in running the farm. We have full time workers and employ backpackers when the season gets busy. We also started Wwoofers and HelpEx in 2012 which is great as these people are generally interested in what we do and how we go about it. This is a two way deal as we teach them sustainable methods and they also give us valuable input. There are 20 breeding cows and 350 breeding Wilkshire cross ewes for lambs which we sell as Organic grass feed meat to the Co-Op. We have a packing shed in town that we use to pack up our orders to send to Perth. We also sell locally, mainly at the Manjimup Farmers Market. We are happy if people want to order of us. If we can help in any way please email us with questions.